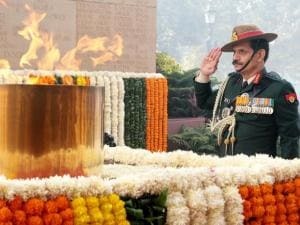 General Dalbir Singh paying homage at Amar Jawan Jyoti prior to relinquishing command as COAS on 31 Dec 16. 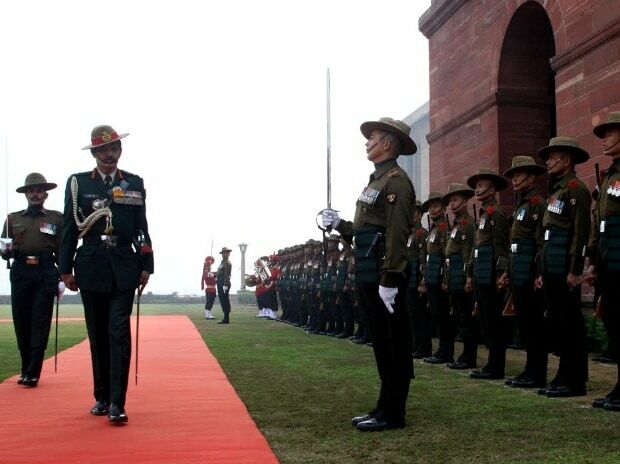 General Dalbir Singh being accorded a Guard of Honour at South Block Lawns prior to relinquishing command as COAS on 31 Dec 16. General Dalbir Singh handing over the baton to General Bipin Rawat in the office of COAS on 31 Dec 16 . 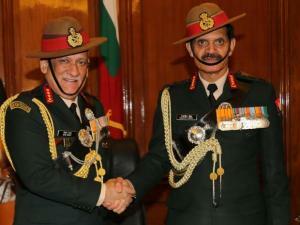 General Dalbir Singh after handing over charge to General Bipin Rawat in the office of COAS on 31 Dec 16 . 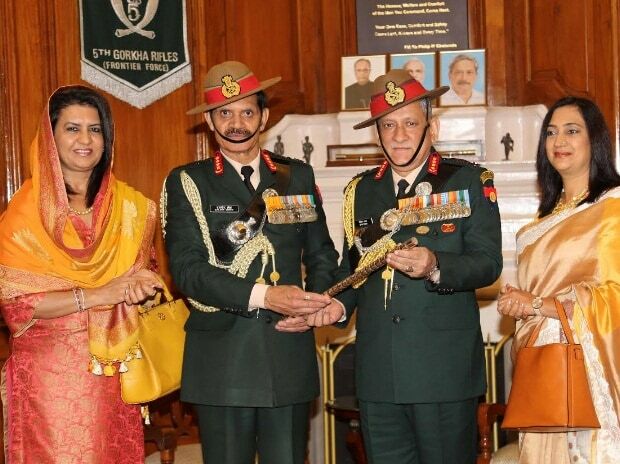 Photograph of COAS along with the first ladies during exchange of baton ceremony in office of COAS on 31 Dec 16. 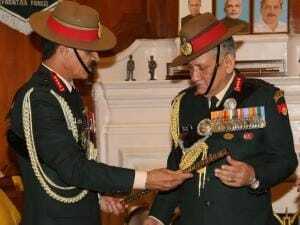 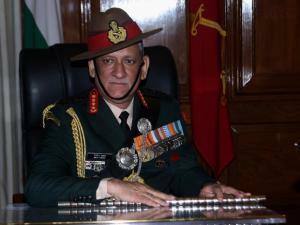 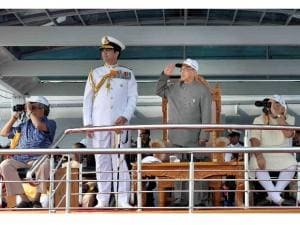 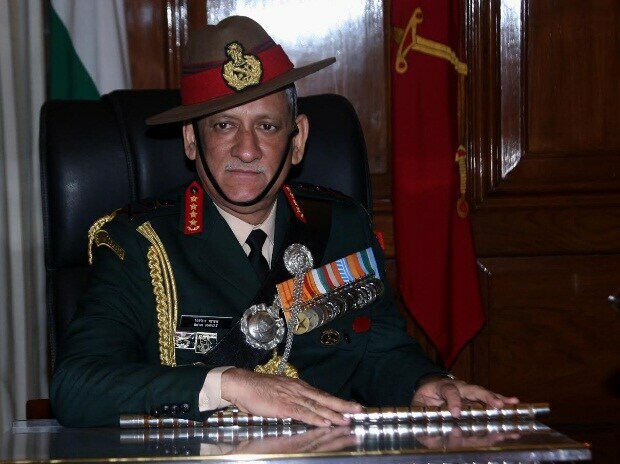 General Bipin Rawat on taking over as the 27th COAS of Indian Army at South Block on 31 Dec 16 (AN). 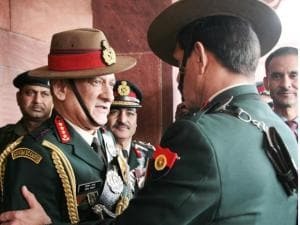 General Bipin Rawat, COAS seeing off the outgoing Chief, General Dalbir Singh at South Block on 31 Dec 16 (AN).